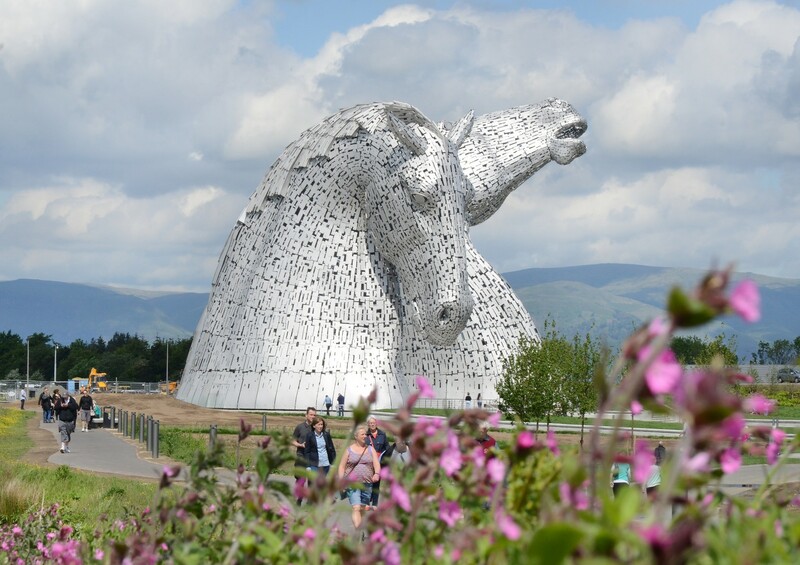 Visit the Kelpies - only a 10 minute drive! 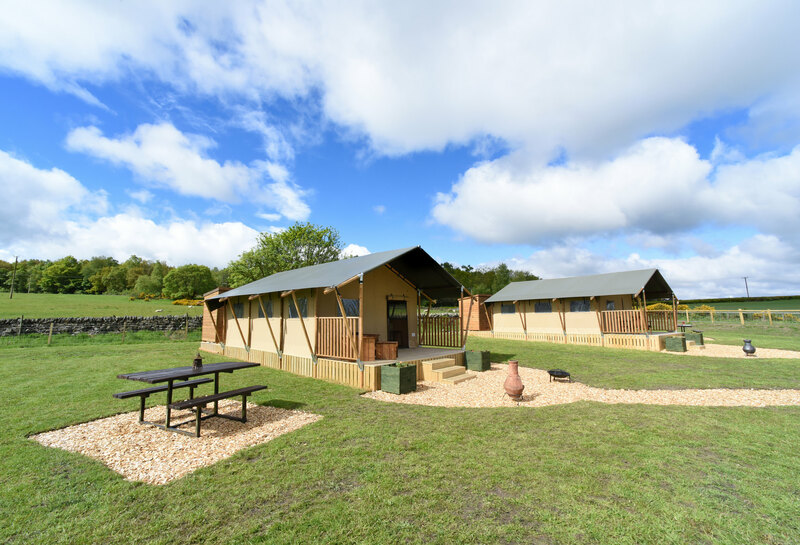 We have two Luxury Safari Tents at Carr’s Hill to complement our existing accommodation. 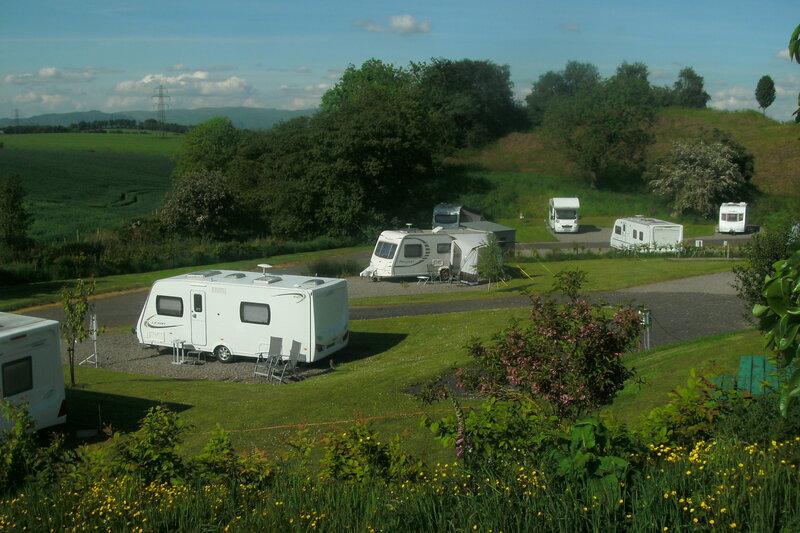 These are separate from the touring pitches. They offer a unique retreat in the Stirlingshire countryside. And at the same time they retain many of the comforts of home. 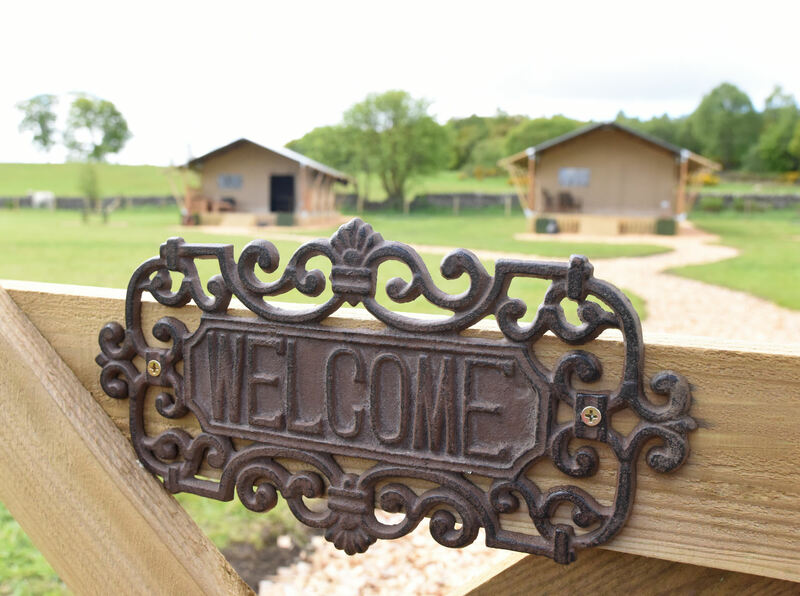 For further information on our tents at Central Scotland Glamping please click here. We are ideally situated in a peaceful rural area. 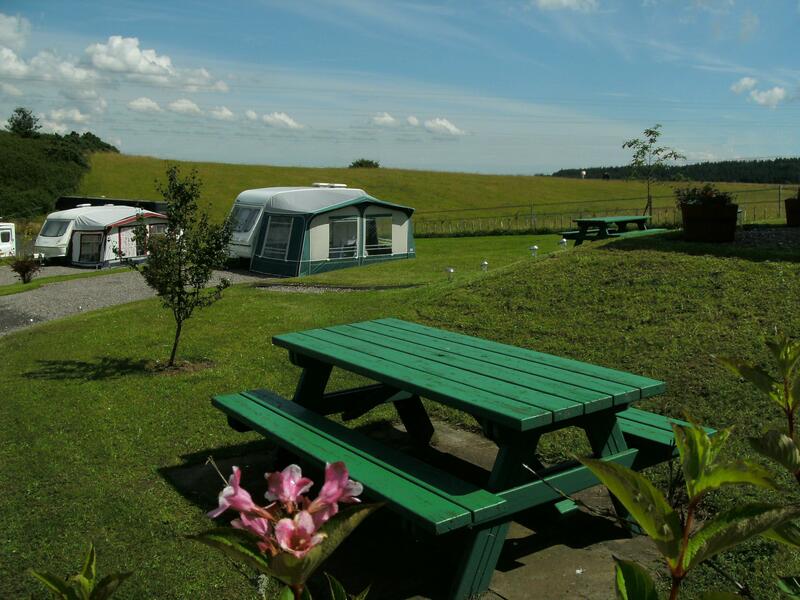 Our pitches have an open outlook over the surrounding farmland. Although were rural, our accessibility is one of our greatest strengths. 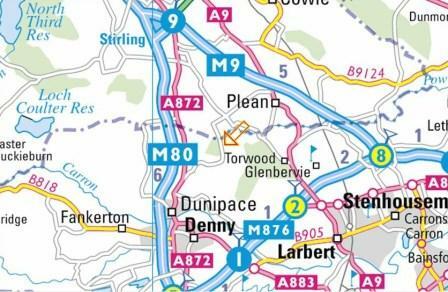 We’re close to the M9/M80/M876 motorways links and within easy reach of Stirling, Loch Lomond & The Trossachs. Carr’s Hill sits adjacent to, and is named after, a scheduled ancient roman fort. 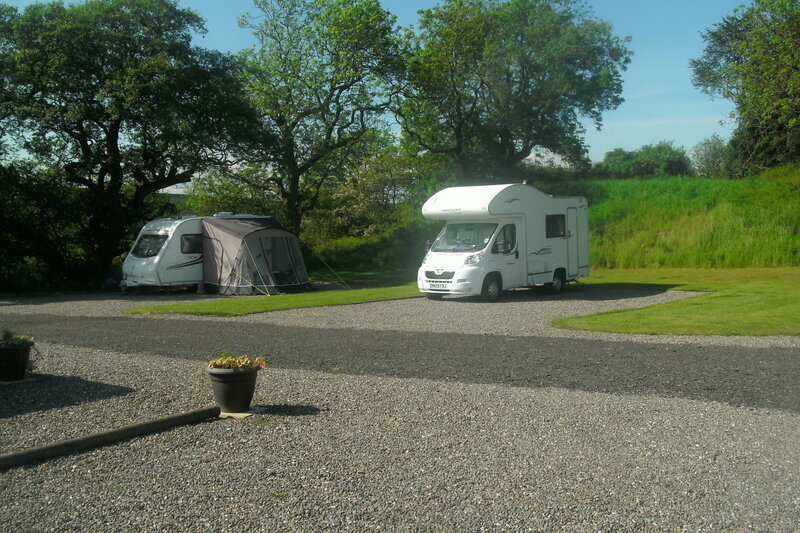 Our situation in the countryside outside Stirling, in the heart of Scotland, makes us an ideal touring base. We have beautiful views and are surrounded by fields of horses and sheep which means you can enjoy a holiday in the countryside. And you can walk to Plean Country Park which is a mile away. 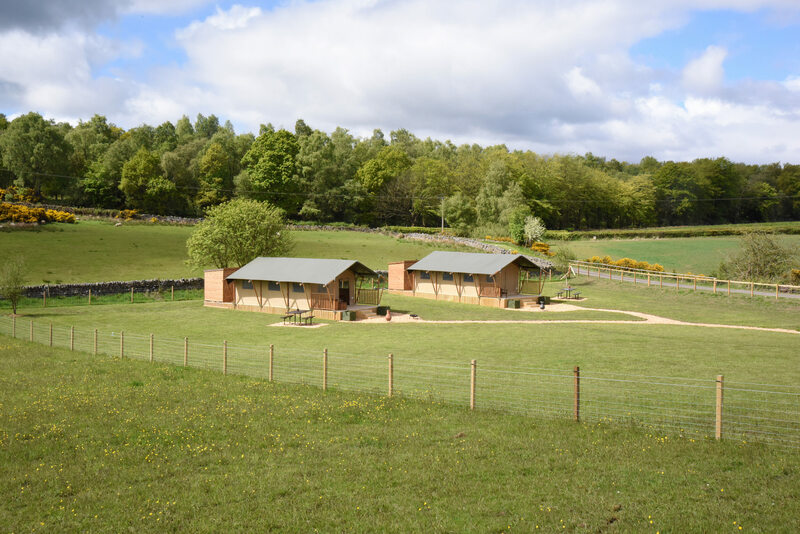 There you’ll be able to enjoy excellent dog walking paths, woodland trails and a variety of seasonal events. Wellsfield Farm Park is 5 minutes by car or can be reached by walking across country within 20-25 minutes. Stirling is less than 6 miles away – Stirling Castle and The Wallace Monument are popular with our visitors and are within 15 minutes drive. Falkirk is around the same distance in the opposite direction. 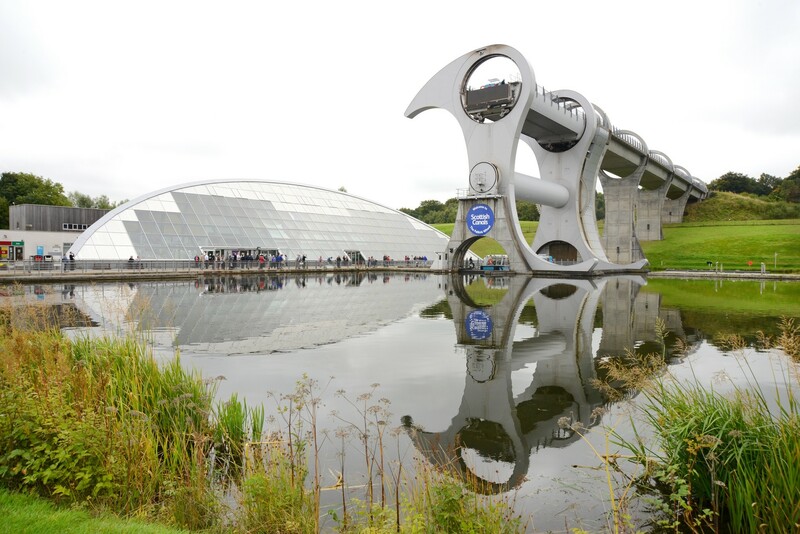 The world renowned Falkirk Wheel is closeby and you can also enjoy a trip to Helix Park which offers a fantastic opportunity for visitors to stand next to the 30 metre tall horse head structures known as The Kelpies. Again, these are within a 15 minute drive. Glasgow, Edinburgh and Perth don’t take long to get to either and Loch Lomond and the Trossachs are within an hour’s drive. Locally, you can head to the villages of Dunipace or Plean which are closeby for essential shopping. For a wider choice there is a major supermarket within 3 miles. Stirling has convenient City Centre parking with easy access to a full range of national stores as well as many interesting individual shops. And for those who prefer someone else to drive, there is also a highly accessible Park & Ride facility. You can head to Larbert Train Station which is only 6 miles away – it has excellent free parking and regular trains run to Edinburgh and Glasgow. Edinburgh Tram Link (Ingliston) is popular and within 30 minutes drive – it offers free parking and swift travel into the city. There’s lots to do within easy reach of Carr’s Hill including: golf course 3 miles; coarse fishing 2 miles; clay pigeon shooting 2 miles; and horse riding 2 miles. For additional guests, please see our Luxury Safari Tents tab above or Bed and Breakfast accommodation is available at a neighbouring farm, only half a mile away.